This year, I had an affair. With Mexico. Chicago was freezing and I found the allure of the country’s aquamarine sea, juicy ceviche and rugged landscape tough to resist. In September, I hit Mexico City. I knew I would love the architecture. But it was the street food that blew me away: carnitas, tamales, fresh guacamole and exotic fruits and vegetables that I had never seen before. Tucked into buildings all over the city are upscale food halls selling everything from fancy habanero to classic fish tacos. Honestly, there is no reason to even enter a restaurant. The Frida Kahlo museum, Casa Azul, was fabulous. it’s essentially an airy mansion displaying artwork and Ms. Kahlo’s personal effects like makeup, paints and mementos. To really get a sense of local culture, head to the open air market in Polanco at the crack of dawn and see chefs bargaining for fruits and vegetables. Then, stay for breakfast. A few weeks later I headed to Valle de Guadelupe which is a two hour drive from San Diego. I wanted to check out the burgeoning wine scene unfolding in Baja’s verdant valleys. 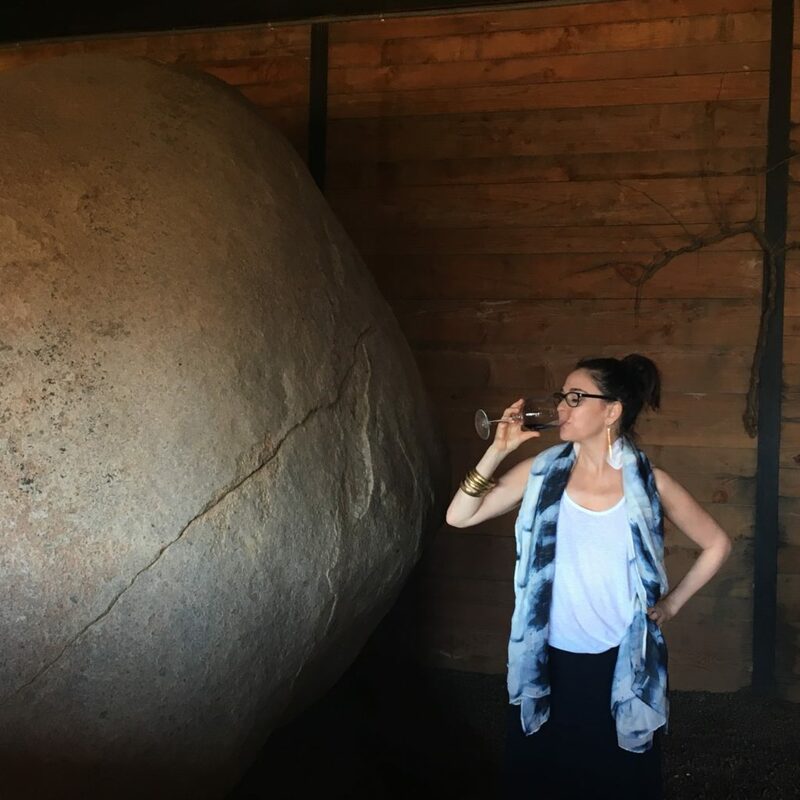 What I found was a rustically cool network of tasting rooms-Monte Xanic, Finca la Carrodilla, Adobe Guadalupe- with charming lodging that smacked of Sonoma thirty years ago. I stayed at Cuatro Cuatros, a glamping property nestled in the vineyards with a view of the sea. But after I had seen La Villa del Valle, a super chic inn walking distance from the Vena Cava winery, I wished I could extend my trip a few days. A highlight: eating at food trucks tucked away on gravel roads, my favorite being Javier Placencia’s Baja Lupe. If you don’t want to explore Ruta del Vino on your own, there are a slew of tours with organized day trips from San Diego. Then, in March. I visited Mayakoba. Just 30 minutes from the Cancun airport is a complex of interconnected resorts-Rosewood, Banyan Tree, Andaz and Fairmont smack on the Riviera Maya. I stayed at the new Andaz Mayakoba,which opened this past December. From my whitewashed, eco-chic beachfront room, I biked around the complex, to the spa and to the lobby. Guests at Mayakoba can book dinner at any of the neighboring hotels, a perk for people who get easily bored with food options. If you can tear yourself away from the azure Caribbean sea, Playa Del Carmen, an outdoor shopping area, is 30 minutes south. Next fall? Cabo.